Small and slim is in. Popular netbooks nowadays seem to get smaller and smaller as newer models come up. 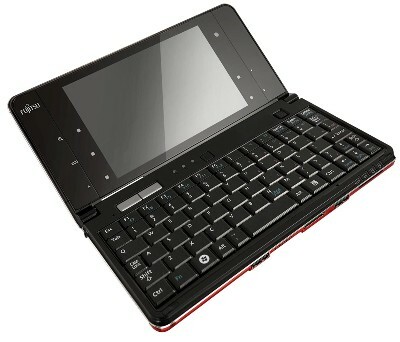 It they get any smaller, netbooks would one day fade into gadgets that may be likened to smart phones someday. But this doesn’t stop companies like Fujitsu from stretching the boundaries quite a bit. The Fujitsu Lifebook U900 is a recently released handheld PC that tries to do just that- challenge further how people may look at Netbooks today. For one, the Fujitsu U900 may currently hold the distinction of being the smallest Netbook to date. Its ultra-lightweight and slim design puts it at just the size of long wallet that weighs only 500 grams. But its features are far from being small. The Fujitsu Lifebook U900 offers the features comparable to that of most Netbooks today. It runs on the Intel Atom Z530 processor and features Windows 7 compatibility along with its multi-touch support, a 62 GB Solid State Drive and a 5.6 inch WXGA touch screen display. It also comes with Bluetooth support, web camera, and integrated 3.5G Technology support for high speed Internet access. Price for the Fujitsu Lifebook U900 is not yet available but it sure would catch the attention of gadget lovers when it finally does.